It’s that time of year again, folks – the stretch between September and March where every Instagram photographer on the block is clamouring to get some aesthetic shots of the beautiful fall colours… They come out in full force at this time of year, and there’s good reason for that! Everyone has their personal favourite season, but fall – in my opinion – is the most beautiful time of year depending on where you are in the world. For those in the northern hemisphere, that time is now! Sweaters, pumpkin spice lattes, comfort foods… what’s not to love? And, of course, the beautiful autumn tones. 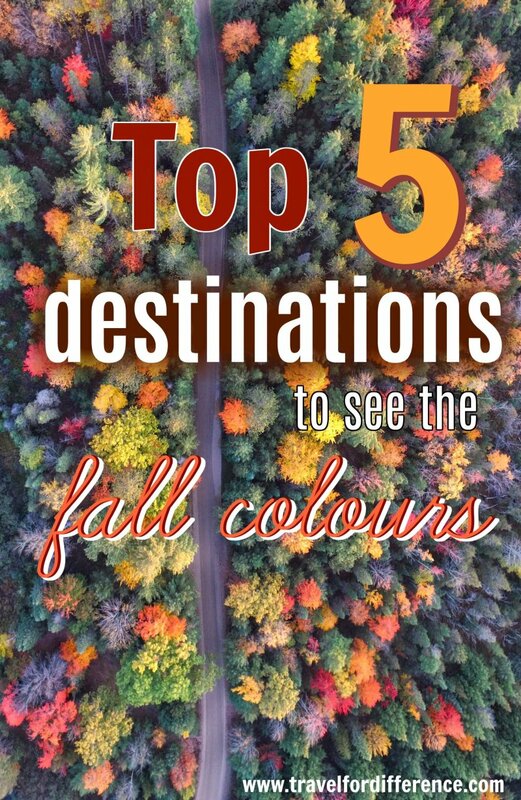 So, here are my top five best places to see fall colours; they’ll allow you to spot the dazzling reds, golds, browns, and ambers that artists have struggled to capture since time began. Our first destination takes us to Germany, Europe, to see a dizzying display of trees – even on the side of a mountain. The trees here are like a tidal wave of vibrant colours, fireside-camping, and all the good things that spring to mind when you see your first tree of the season beginning to lose its leaves. It’s here that many amateur photographers visit to get some especially beautiful shots! 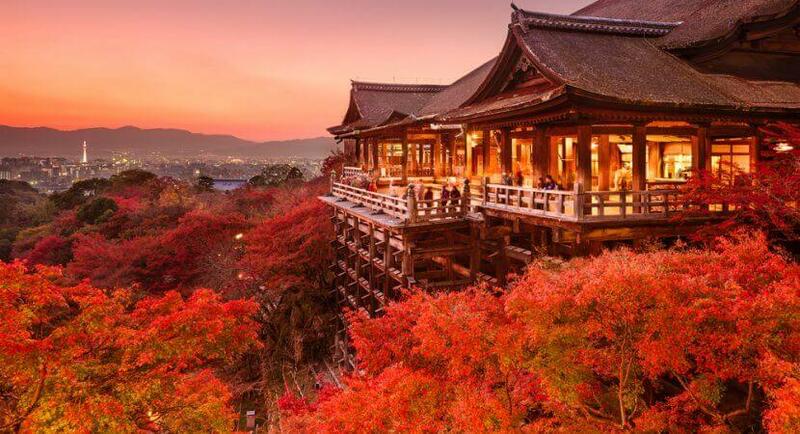 Japanese temples are renowned for their fabulous architecture and stunning views – but none show off the autumn shades better than the Kiyomizu-Dera temple does at this time of year. It’s a highly spiritual place which Buddhists make a point of visiting when they get the chance, and it’s not hard to see why. This building is situated high off the ground and positions you over an ocean of trees that vary from emerald in the summer, to amber in the autumn. But no matter when you visit, you’re going to be wowed by the incredible views. Few places are more beautiful! The state of New England is one of the best in the country for seeing the traditional autumn leaves. Trees fill the countryside, dot the towns, and consume every inch of free space if you know where to look. 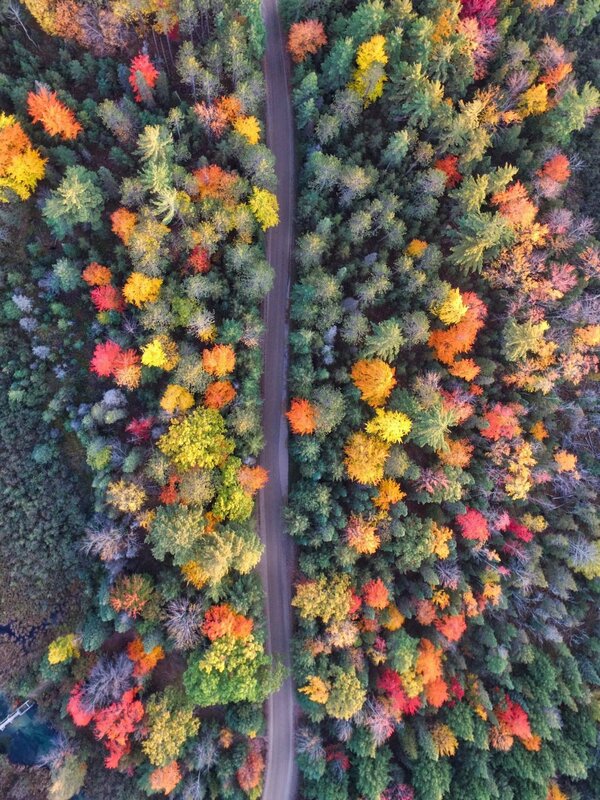 Maine and Vermont, in particular, are good places to cast your gaze if you’re looking for somewhere to see the best reds and oranges in the whole country. No, we’re not talking about Dracula’s castle here – but it is the same place in which the story was set over a century ago. While you’re unlikely to come across any bloodsuckers on your trek through its gorgeous countryside, you will likely stumble across sights unlike any you’ve seen before. Aside from that, though, there’s nothing spooky about it, even at Halloween. If you can afford it, take a flight over and have a few inexpensive days wandering the countryside in search of sights good enough to make your heart pound. You’ll enjoy it, I promise you! And finally, for my number 1 pick, I’ve chosen Algonquin Provincial Park in Canada. Photos of Algonquin Park are so refreshing! They show the natural beauty of the kinds of colours you’ve associated with fall since childhood. And they definitely don’t promise more than they can deliver – I mean, just look at these! This place is about as natural as “naturally beautiful” can get, and what makes it better is that the park also offers a variety of recreational activities like camping, swimming and skiing too! If you’re looking for a practical place to get a view while also being able to participate in fun activities, this is the destination for you! You might even spot a moose or two during your visit. It’s an awesome spot for a family vacation, so consider it the next time you’re deciding where to go with the kids… It may also save you an arm and a leg on travel costs. Fall is a beautiful time of year, but keep in mind that the weather can be very unpredictable. The best thing about fall, however, is that its beauty can be admired even in rainy or overcast weather. When visiting any of these places, especially if you’re new to the area, be sure to dress appropriately and bring the suitable clothing and gear, with emphasis on warmth and waterproofing. Of all of these 5 best places to see fall colours, which is your favourite? Let us know in the comments down below! With over 20 years in the construction industry and an avid outdoors enthusiast, Chris personally knows the importance of protecting your feet from the elements. His site, KeepDryFeet, is a one-stop blog for everything you’ll ever need to know about how to keep your feet warm and dry, for whatever outdoor activities you’re involved in. You can find Chris on facebook, here! Such a wonderful post…Very interesting article. I love your pics. Thanks for sharing. Love these pictures. 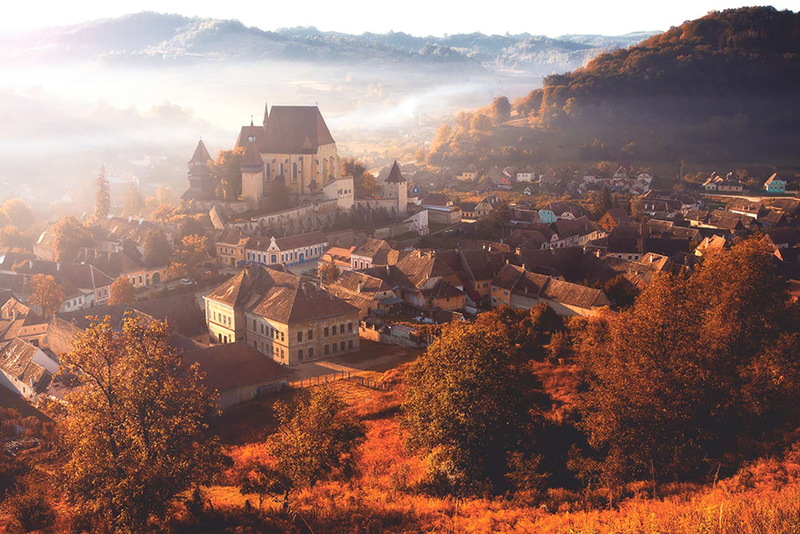 Especially Transylvania, that place looks absolutely breath-taking. Hello Kate, come to Kaunas in Lithuania! The colour boom is short, but intense!